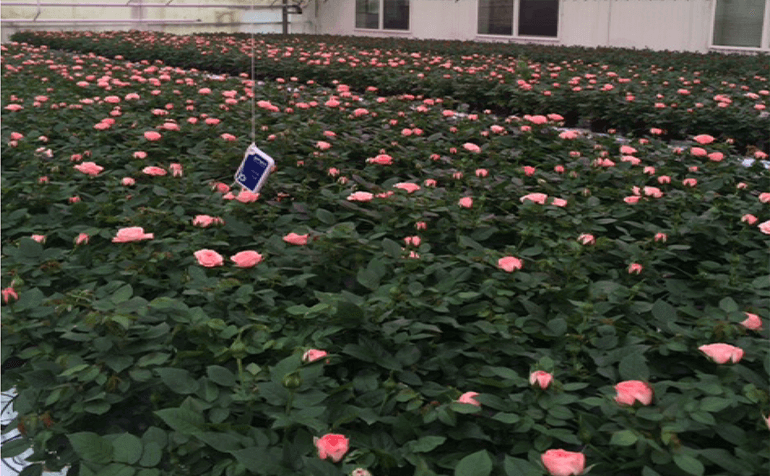 Making up a significant portion of the floriculture market, Mini-Roses typically require multiple applications of plant growth regulators (PGRs) in order to prevent elongation, and achieve the targeted market height. PGRs have been shown to present harmful environmental and health-related effects. It is hypothesized that applying a lower ratio of red:blue light to flowering mini-roses will achieve similar effects as PGRs, decreasing the total plant height without reducing flower count, production time, and quality. In this presentation we present three experiments. The first experiment was done at Rocket Farms in Half Moon Bay, California, in the greenhouse environment, to examine the effect of both a High Red and High Blue LED light environment for a two to three week period at the end of production. 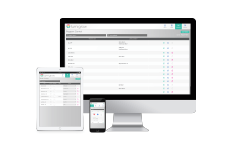 The second two experiments were done at LumiGrow’s research facility in Emeryville, California utilizing a sole source environment. In one case we used LED alone at varying light ratios, but at the same intensity, to determine the response of the plants under “all LED conditions”. By contrast, in the other sole source experiment we mimicked winter sunlight conditions to create “January in a Box”, by using a broad spectrum HID lamp and pairing it with a LED lamp of varying light ratios.